The perfect gift for any occasion. 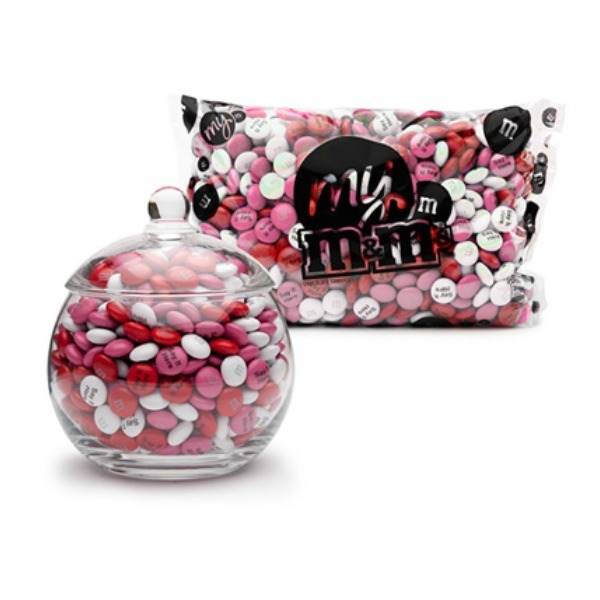 My M&M’S clear glass candy bowl with lid is an elegant way to present & share your personalized chocolate M&M’S® candies. This gift comes with a 1lb bag of personalized chocolate M&M’S® in your choice of colors, messages, and images (approximately 10 servings of candy). Measures 4.5″ wide (diameter) and 5″ high (including lid). These personalized M&M’s are an especially great gift for anyone who works in an office setting. The candy jar fits perfectly on any sized desk and the personalized candies are great conversation starters.